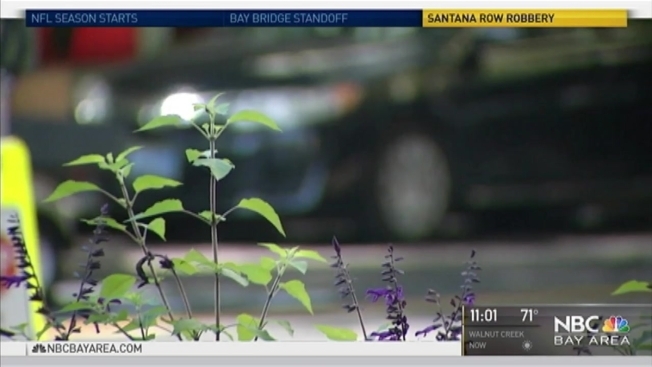 San Jose police are investigating an armed robbery at Santana Row in which a victim told NBC Bay Area that the suspect stole cash from her friend. The robbery was reported about 9 p.m. Wednesday near Hatton Street and Olin Avenue. The victim did not want to elaborate or give her name. But she said she and her friend were held at gunpoint. San Jose Police Sgt. Enrique Garcia said there are likely two suspects who stole the victim's purse with some sort of handgun. They fled in a white, four-door car. Some shoppers on Thursday said the news was quite scary. 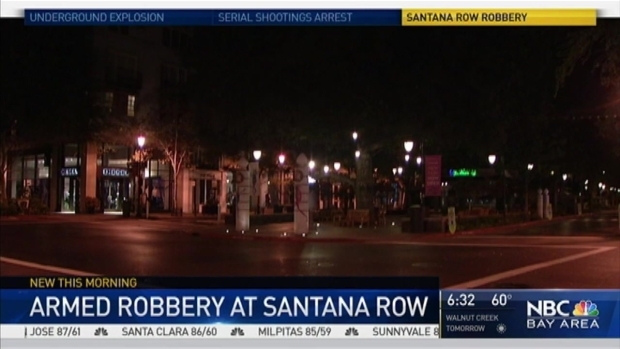 San Jose police are investigating an armed robbery at Santana Row in which a victim told NBC Bay Area that the suspect stole cash from her friend. Kris Sanchez reports.